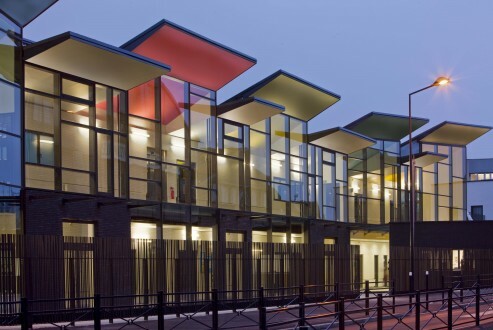 Salwa and Selma have been appointed Unit Masters at the AA School. 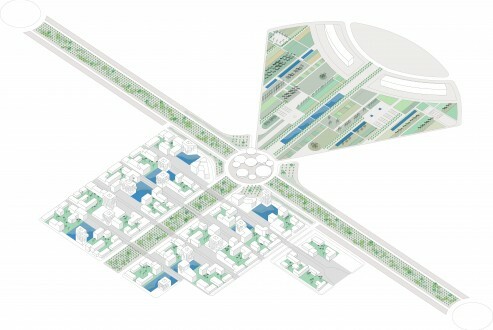 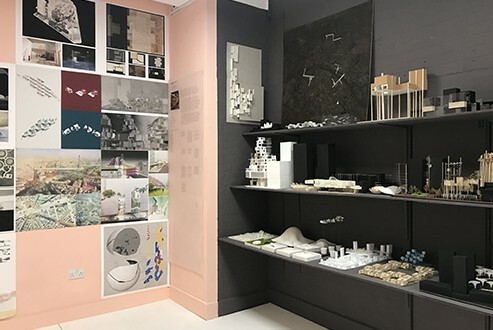 They work on Architecture as a lever of Transformation and will explore this year a sort of "Archeology of the Future" through the mytical city of Tangiers. 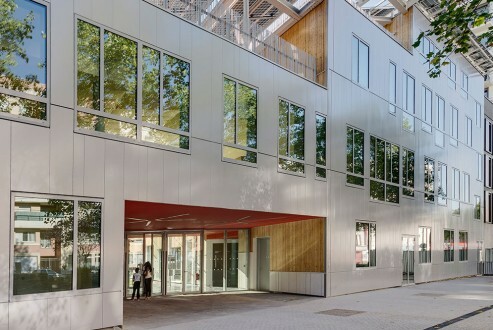 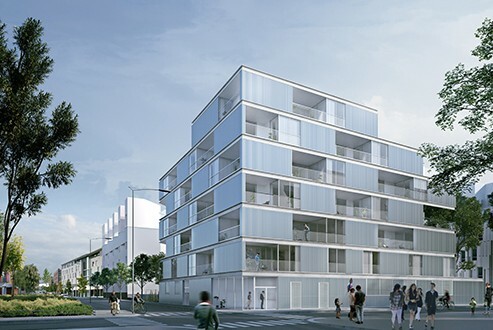 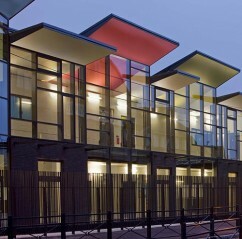 The High School at Boulogne Billancourt Zac Ile Seguin has been completed in September 2018. 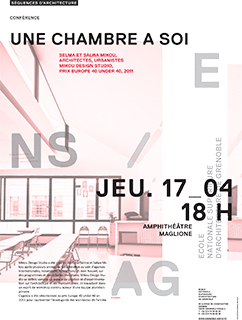 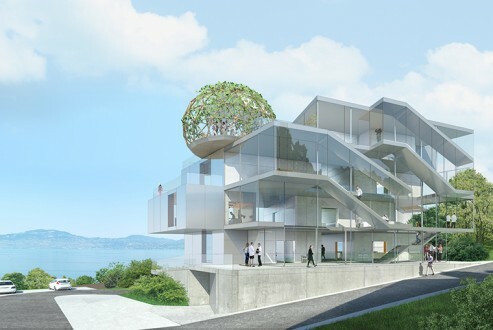 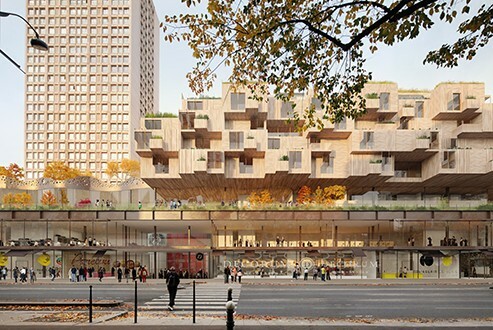 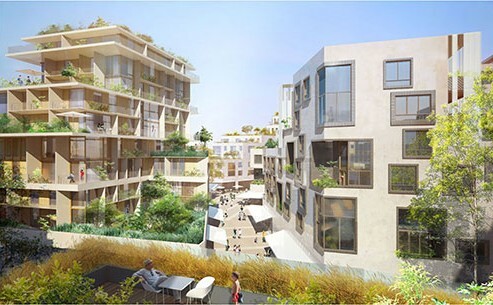 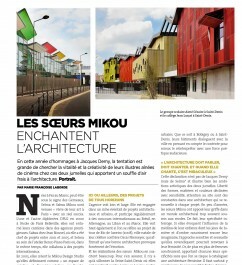 Miks reveals its project for the School Complex in Pierrelaye. 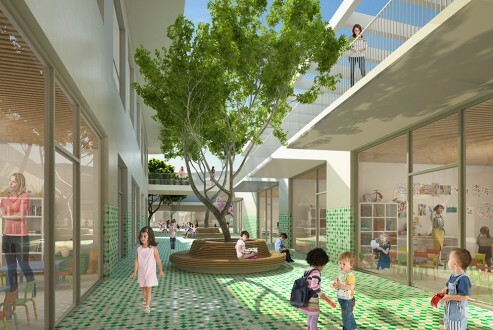 Miks reveals its project for the School Complex Louis Massignon in Abou Dhabi. 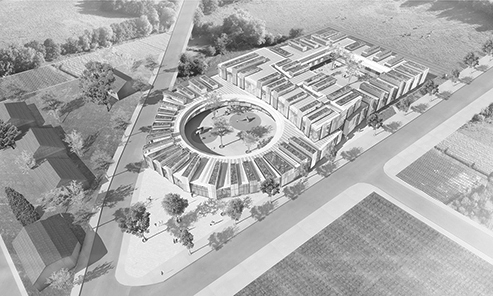 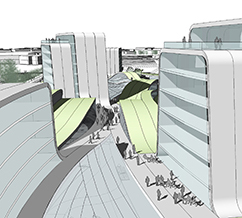 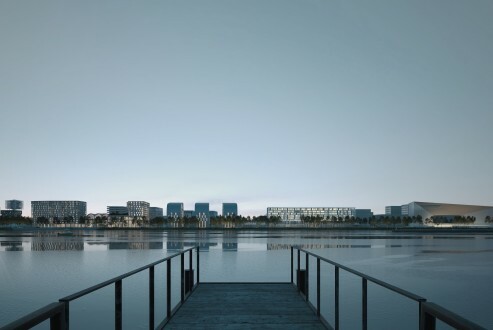 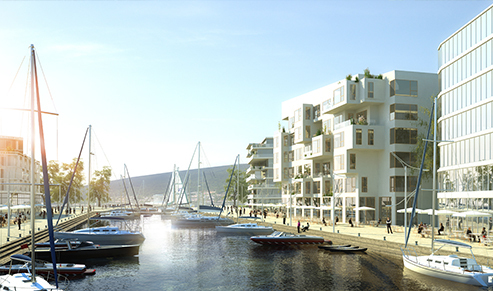 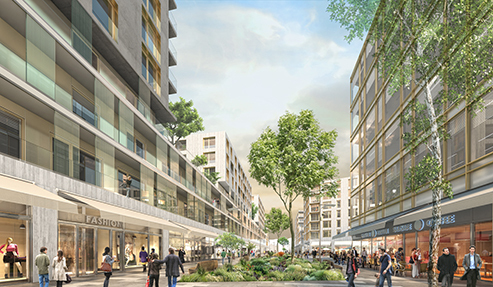 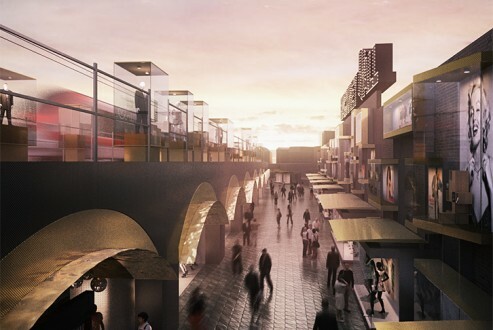 Miks reveals its project for the Sports and Cultural complex in Malley. 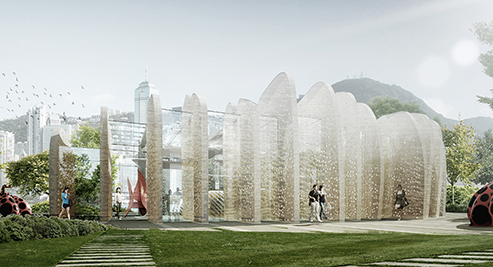 The Moroccan Pavilion featuring the project "Boucraa, an invisible town" by Mikou Design Studio! 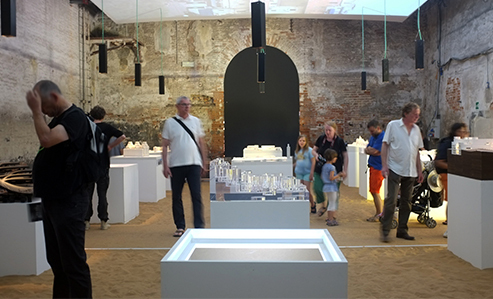 Miks participates in the Moroccan Pavilion at the Venice Biennale 2014 "Fundamentals / Absorbing Modernity 1914-2014" directed by Rem Koolhaas, on the topic "Inhabiting the desert". 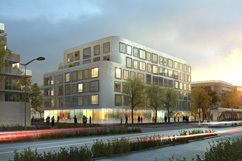 Miks reveals its project for Africanews headquarters. 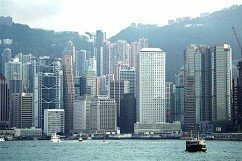 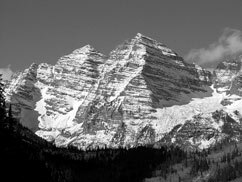 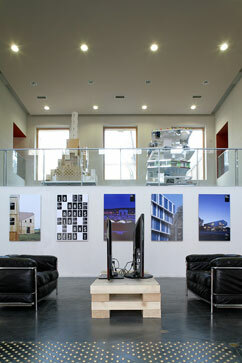 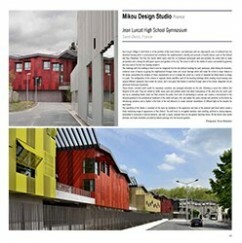 Miks reveals the images of the project. 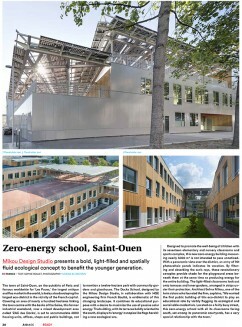 The Zero Energy School completed in September 2013. 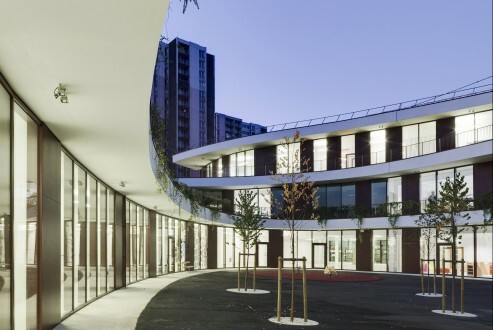 The series of separate but linked blocs in La Courneuve park are completed and the patios planted! 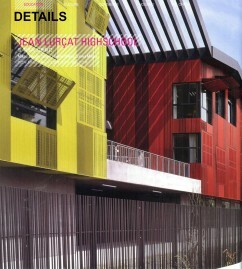 The high school has been inaugurated in february 2013! 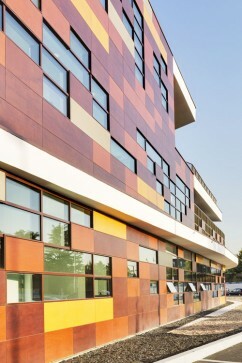 Artwork by Felice Varini, "Les disques évidés par l'hexagone, le pentagone et le trapèze"
Bobigny school just completed with its timber panels of golden colours arranged in a random mosaic pattern. 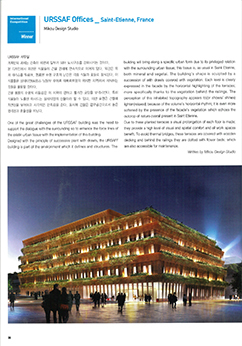 A new breath for the city hall! 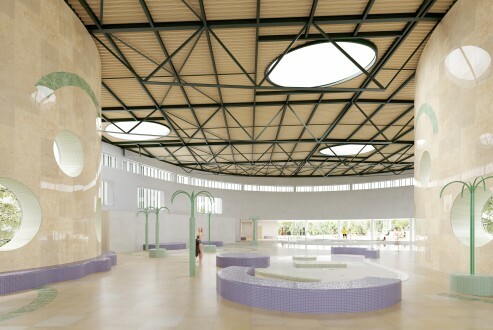 The Aimé Cesaire School Complex has beeen completed September 2009. 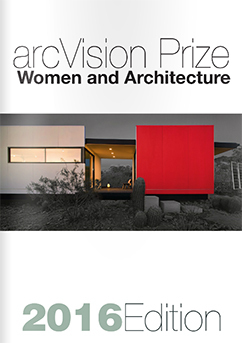 "Under the sign of water"
Salwa and Selma Mikou were nominated for the ArcVision price 2016 Women and Architecture . 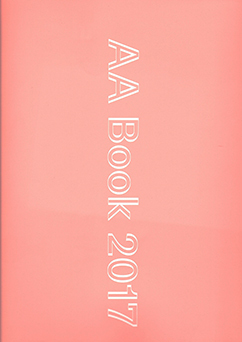 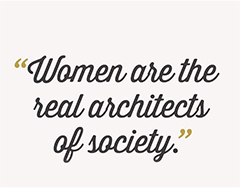 The awards ceremony will take place in April 2016 at the Milan Triennale at the Teatro dell ' Arte. 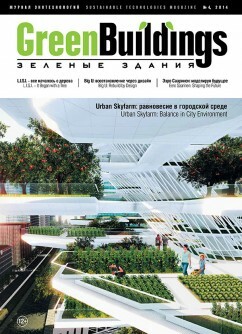 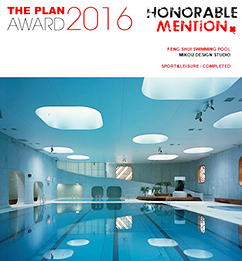 Feng Shui swimming pool published in Green Buildings magazine. 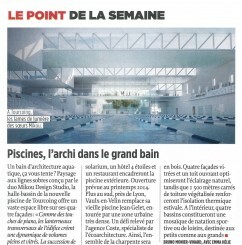 "Mikou Studio completes Paris swimming pool designed using Feng Shui philosophy"
Feng Shui swimming pool featured in Le Moniteur N°5793. 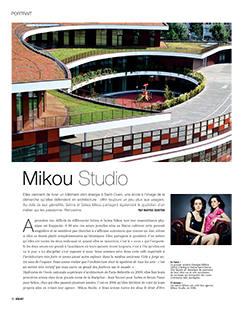 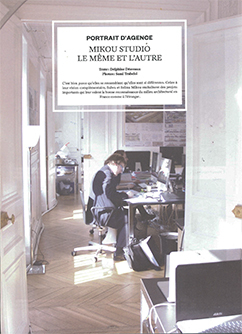 Portait of Salwa a Selma Mikou featured in "office et culture" magazine. 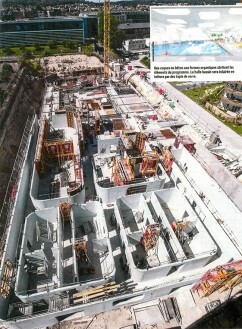 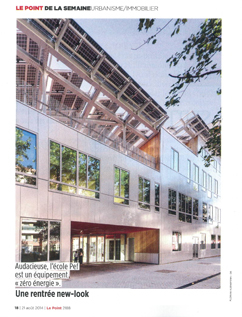 Jean Lurcat High School featured in the newspaper "Le Monde"
Ongoing, to be completed in february 2015. 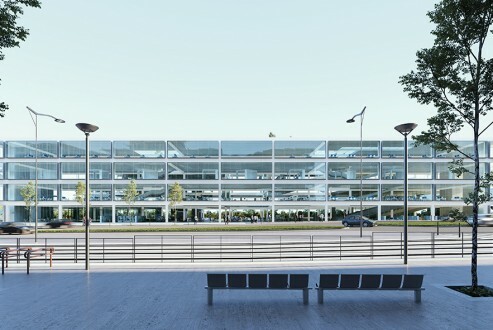 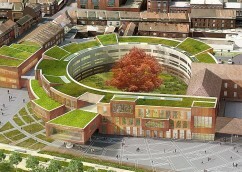 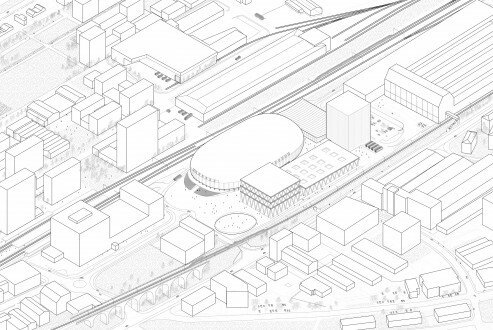 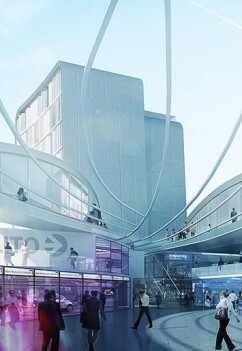 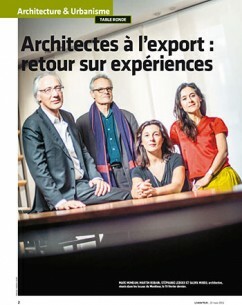 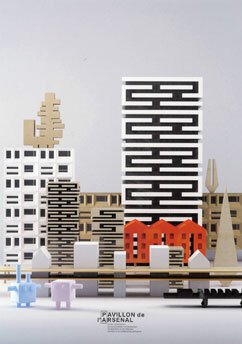 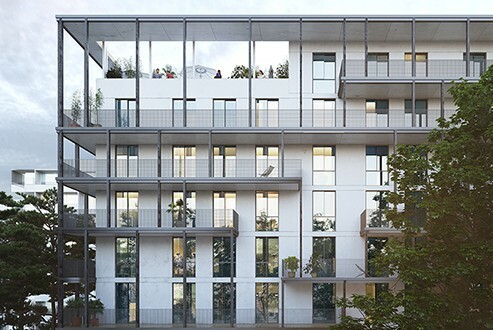 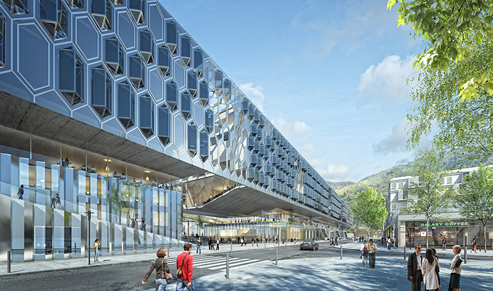 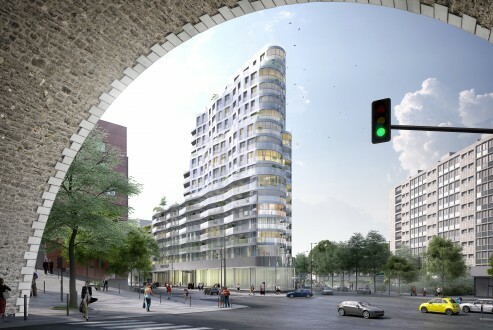 Saint-Etienne office building featured in Concept. 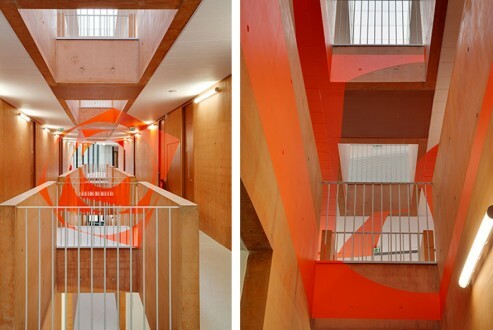 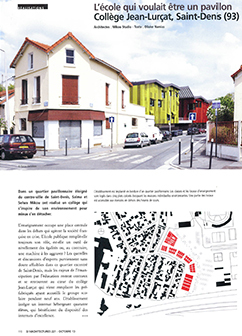 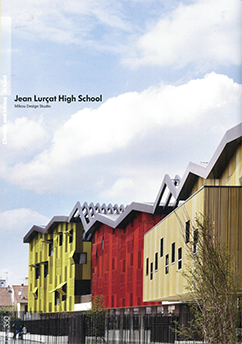 J. Lurçat High School featured in D'Architectures N°221. 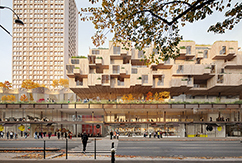 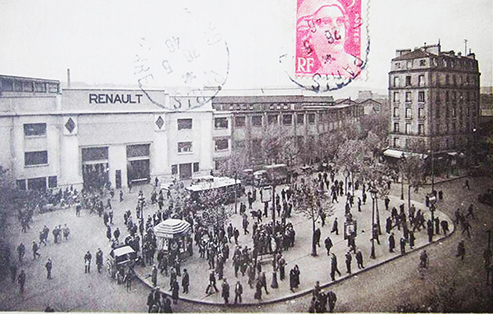 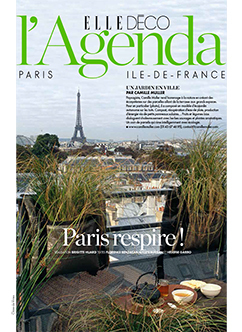 "Rendez-vous avec la Vi(ll)e, Le Fabuleux Destin du Nord-Est Parisien"
Reinvent Paris - "Les Allées Perchées"
"The Sustainable City made in France"
Produced by Home & Images production with Olivier Le Bras, Sylvie Adigard et Nathalie Faure. 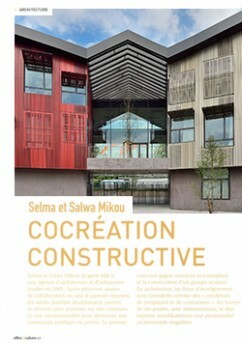 Salwa and Selma present their projects in the movie "The Sustainable City made in France"
Zero Energy School published in c3 magazine. 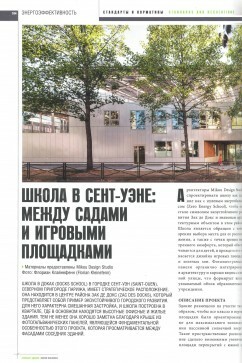 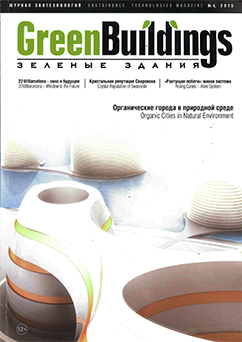 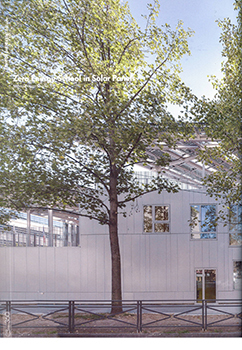 Zero Energy School published in Green Buildings. 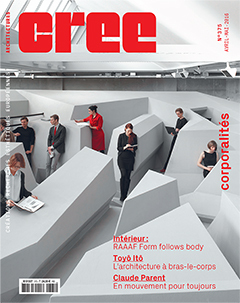 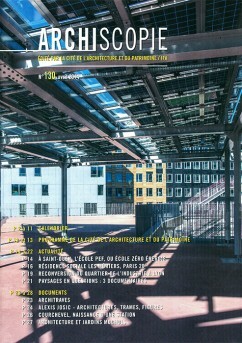 Zero Energy School featured in Archiscopie magazine. 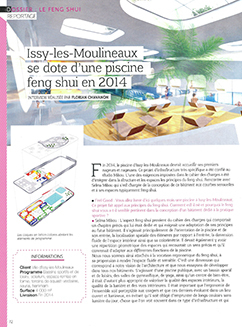 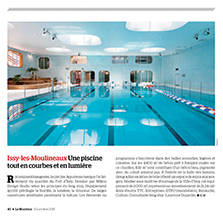 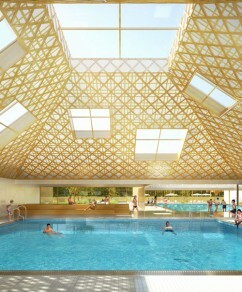 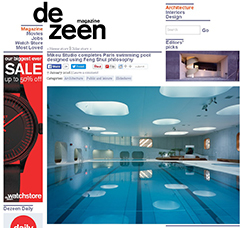 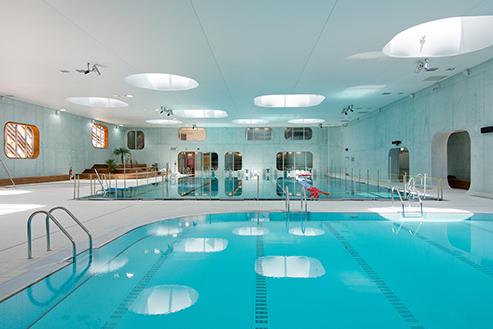 Feng Shui Swimming pool in Issy-Les-Moulineaux featured in Feel good - Feng Shui. 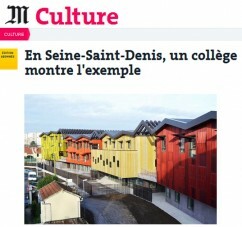 10 ANS APRES 10 ANS DÉJÀ!